Perhaps too, recognition should be given to the efforts of access organisations, and particularly the Ramblers', to secure better recognition by local authorities of their responsibilities to maintain and promote their public rights of way networks. What are ORPA? 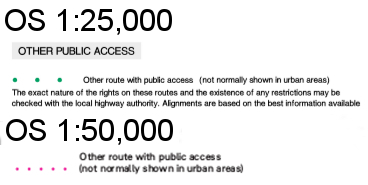 The OS uses the following text in its key: "The exact nature of the rights on these routes and the restrictions may be checked with the local highway authority". Which is mystifying and unhelpful but consistent with the OS' practice of minimising its responsibility for the existence of a right of way along any route shown on its maps. The provenance of ORPA is the list of publicly maintainable streets held by every local highway authority under s.36(6) of the Highways Act 1980: this sparsely worded provision simply requires that, "The council of every county, metropolitan district and London borough and the Common Council shall cause to be made, and shall keep corrected up to date, a list of the streets within their area which are highways maintainable at the public expense." Subs. (7) goes on to provide that the authority must keep the list available for public inspection at its own office, and the relevant part at the office of any district council (if there is one). And 'street' is given the meaning assigned to it in s.48(1) of the New Roads and Street Works Act 1991, which is to say: "any highway, road, lane, footway, alley or passage, any square or court, and any land laid out as a way whether it is for the time being formed as a way or not." Although this definition has a rather Dickensian feel to it in its reference to 'passage', 'square' or 'court' (similar language can be found in the definition of a 'street' in s.3 of the Town Police Clauses Act 1847), there seems to be little doubt that the list of streets must identify any public way, whether in the countryside or in town, which the highway authority is obliged to maintain. And this includes not only the main roads in the authority's area (but not trunk roads nor motorways: these are maintained by Highways England), but also most residential roads, country lanes, byways open to all traffic, restricted byways, public bridleways and footpaths, just so long as they are publicly maintainable. 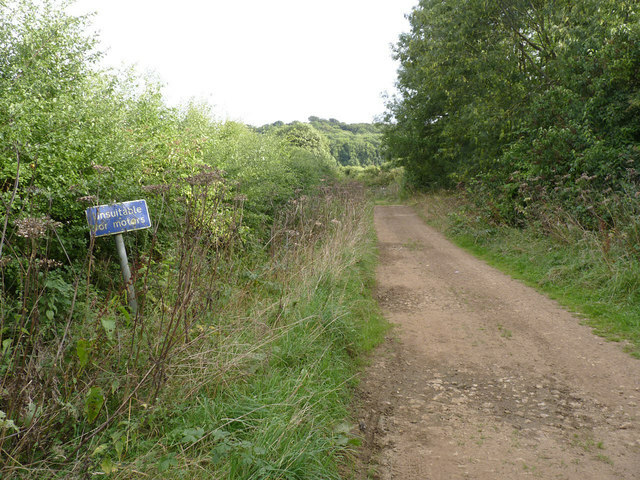 Whether any particular way is in fact publicly maintainable will be a matter of provenance and history: for example, any public road in existence before the Highway Act 1835 is publicly maintainable, and most public rights of way are — but there are exceptions, including footpaths added to the definitive map of rights of way since 1949 on the basis of long use. It follows that the list of streets should have a vital role in the highway authority's functions: it tells the authority, and the public, which highways the authority must maintain, and by implication, those ways (some of which will nevertheless be public highways) which it does not maintain. In practice, the role of the list of streets has been eclipsed for two reasons: first, because highway authorities focus on maintaining the 'street works register' required under s.53 of the New Roads and Street Works Act 1991, which must show every street for which the highway authority is the 'street authority' (r.4(5) of the Street Works (Registers, Notices, Directions and Designations) (England) Regulations 2007), and the highway authority is the street authority for every publicly maintainable highway, s.49(1)(a). And secondly, because few highway authorities include all publicly maintainable rights of way in their list, even though it seems they should. This last point means that some ORPA are shown as discontinuous, alternating with say a public footpath where the definitive map public right of way lies alternately inside and outside the boundaries of the green lane. What rights are implied by ORPA? This is a broad simplification: practice varied across county councils, and in urban boroughs, what is contained in the list may be a complete inventory of known public rights of way. Indeed, some boroughs were wholly excluded from the requirement to draw up definitive maps of public rights of way until s.55(3) of the Wildlife and Countryside Act 1981 was brought into force, and even now, lack comprehensive definitive maps for their areas. 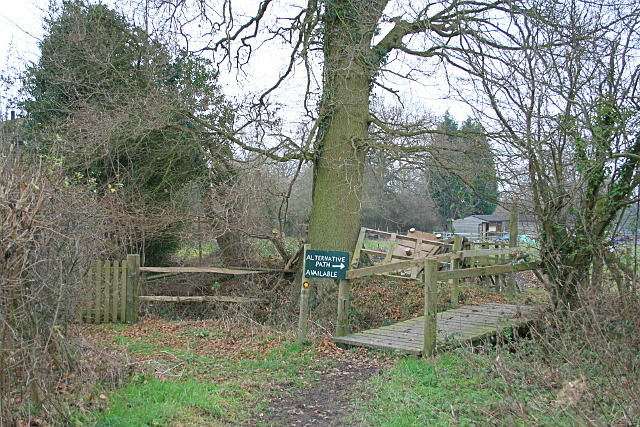 Bradford is the most egregious example, but in compensation, its list of streets contains details of most of the public rights of way within the former city borough, and the OS has brought that information to life by showing the extensive network as ORPA (see for example this photo of a bridge over a beck near Thornton, Bradford, which is marked on the OS map as ORPA, but which is apparently no more than a footpath). 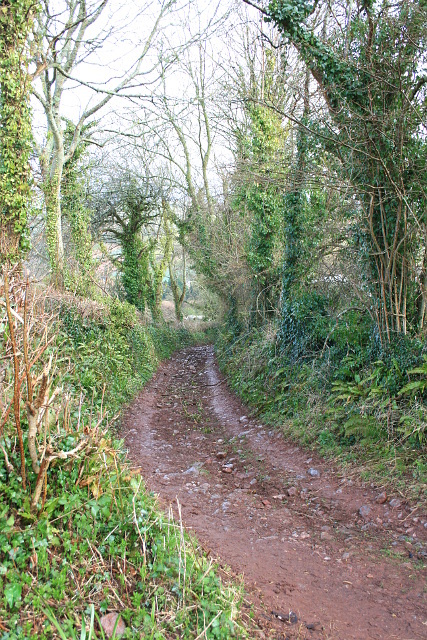 In a typical rural county area, there is a pretty strong likelihood that any way depicted as ORPA and therefore shown in the list of streets is an old vehicular highway — but likelihood is not proof, and from time to time, definitive map modification orders are made for such ways which achieve no more than bridleway status (Bradley Lane is one such example). This means that, where the highway authority is not pro-actively taking an interest in the ORPA data, and engaging with the OS (and given that in most authorities, unsurfaced roads are still managed by the highways team rather than the rights of way team, there's precious little resource or zeal for these routes), the ORPA data are sterilised, with perhaps the odd route dropping off the map when somebody complains to the authority, and the authority takes the line of least resistance by calling for it to be quietly removed from the OS map (such action of course technically having no impact on public rights). The OS will not consider adding privately maintainable public highways as ORPA, nor public highways not maintained by anyone, even though these fit the description of 'other routes with public access'. In a 2010 report to a committee of Devon County Council concerning a network of lanes south of Honiton which had been subject to a 'cessor' order (i.e. 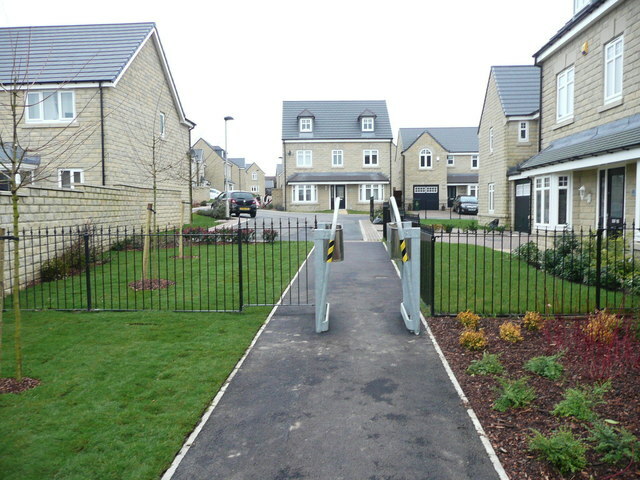 the court had ordered that the lanes should cease to be publicly maintainable), it states that the matter was concluded with the "Town Council resolving to ask the County Council to request the Ordnance Survey to depict this section as available for public use. Ordnance Survey was contacted accordingly, and the route appears marked accordingly on its most recent mapping" (see streetmap). However, whatever the past policy, it appears that the OS will not now do this — though why not is unclear. There is also the question of whether these ORPA are threatened by the extinguishment of rights of way in 2026 (or later if delayed by regulations) under Part II of the Countryside and Rights of Way Act 2000 (CROW2000). The short answer is generally no: first, because carriageways are not affected by Part II, and secondly because there is an expectation, endorsed by the stakeholder working group on rights of way, that routes on the list of streets (and therefore underpinning almost all ORPA) in 2026 will be preserved from extinguishment even if they are not carriageways, on the grounds that they are duly recorded, even if not on the definitive map and statement. 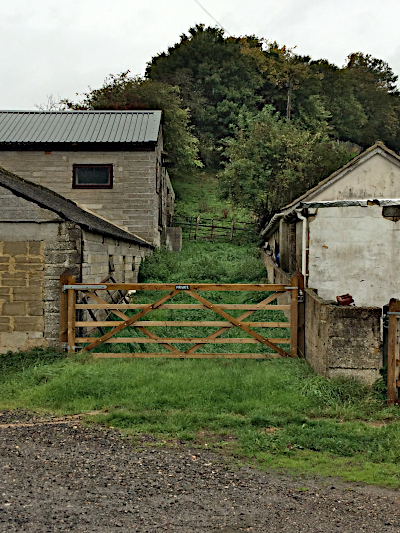 Some of these outcomes could occur de facto on the basis of a particular way shown as ORPA on the OS map being assumed to be a public footpath or bridleway, and not a carriageway, and it being asserted that public rights have been extinguished. Since there is no automatic administrative or judicial process to confirm whether a right of way has been extinguished under Part II of CROW2000, this may be a significant practical difficulty. Indeed, under s.54A of the Wildlife & Countryside Act 1981 (inserted by para.4 of Sch.5 to CROW2000), no carriageway may be added after 2026 to the definitive map and statement (or any later date substituted by regulations) as a byway open to all traffic, so even if a way is considered to be a carriageway, there will be no accessible mechanism available to users to demonstrate that the way is a carriageway, still less any means to preserve a public record of that status for perpetuity in a definitive map and statement. 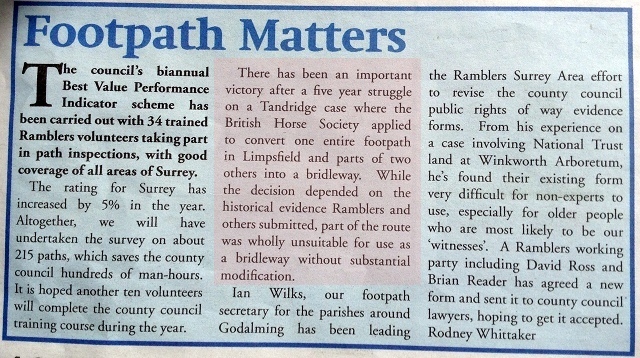 The south-east regional newsletter of the Ramblers carried this short article in 2014, with the highlighted passage about Tenchleys Lane, a claim for a bridleway on the Surrey/Kent border near Limpsfield Chart made by the British Horse Society. 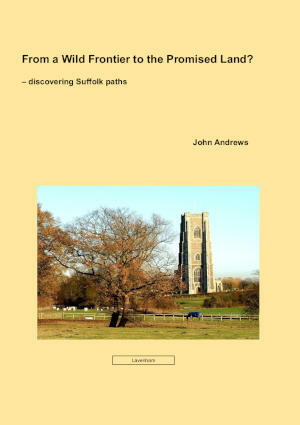 A disinterested bystander might reasonably assume that all organisations promoting the use of rights of way in the countryside would be equally trenchant in promoting claims to record rights of way previously omitted from the definitive map and statement (the official record of such things). And in the sense that the Ramblers, the British Horse Society, the Trail Riders' Fellowship and others all bring such claims, the bystander's assumption would be correct. But as the article demonstrates, they are often on opposing sides to the determination of a particular claim. Every claim which appears to be duly made and well-founded is (eventually — reaching this stage can take decades in some areas) publicised and representations can be made by anyone, including landowners, occupiers and other user groups. Where, as in the case of Tenchley's Lane, the claim is entirely built on historical evidence (in other words, there is no current use to support the claim, but historical records are said to show that the claimed route was a highway of a certain status), objections will carry weight only to the extent that they add to or inform the interpretation of the evidence: a submission which for example, puts a different, weaker gloss on one piece of evidence, or new evidence which tends to negate the claimant's. So representations that the way would be unsuitable for motor vehicles, or carriages, or horses, are irrelevant, unless there is evidence that the way was simply incapable of accommodating such users. And when a user group (or indeed anyone else) submits a claim, it is quite common for a user group with different interests to object, and to seek to secure the rejection of the claim, or to promote the determination of the claim with different rights, typically to exclude motor vehicles, carriages or horse riders, but sometimes to show that 'higher' rights exist beyond those claimed. It is unsurprising if user groups are alert to ensure that a claim does not under-record the rights on a particular route. 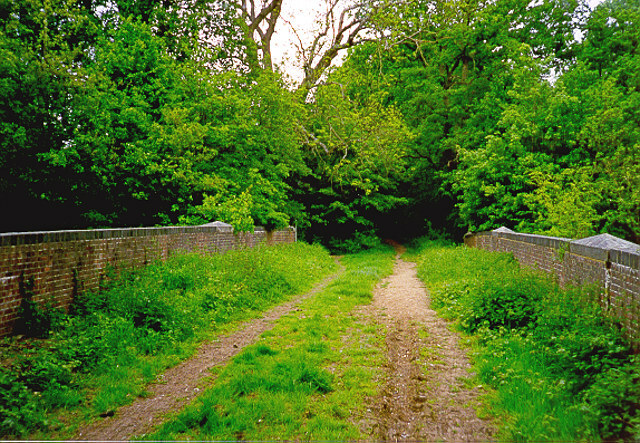 Good research should ensure that any claim correctly reflects the supporting evidence, but PannageMan suspects that claims may occasionally be made by, say, walkers for footpaths or bridleways, where the evidence better suggests a restricted byway or byway open to all traffic, either because the claim might meet less resistance or because the claimants would resent the intrusion of vehicles consequent on the determination of the claim to confirm higher rights. In other words, 'we're going to claim this old road, but we want it only for [walkers][horse riders][horse-drawn carriage drivers] and not for [horse riders][horse-drawn carriage drivers][motorists]' (substitute as appropriate). 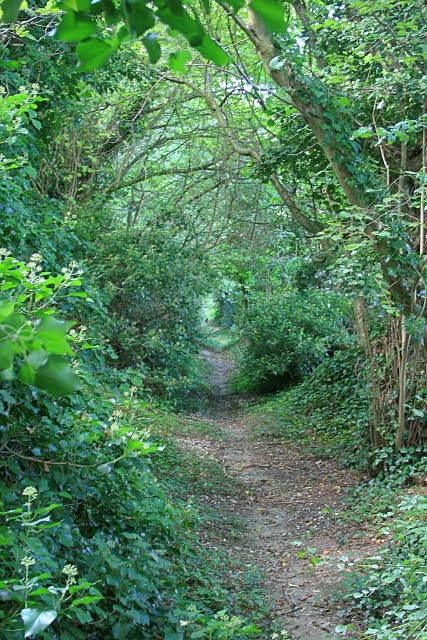 A source close to PannageMan can reveal that half of New Years Day 2014 was dissipated in writing a rebuttal of an objection from the Ramblers to the claim for Tenchley's Lane. The objection surprised PannageMan, because much of the claimed route was entirely 'new', comprising a sunken lane not recorded on the definitive map, running south off Limpsfield Chart down to Itchingwood Common. Another part lay along an existing drive. But a key part was coincident with what was recorded as a public footpath: a steep climb uphill along a modestly narrow path between fences. 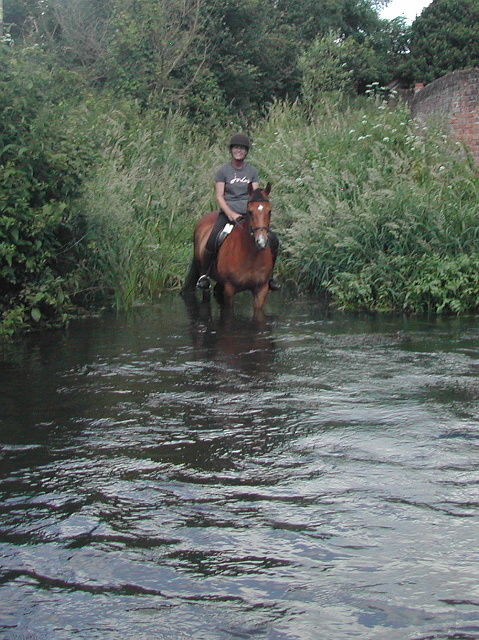 It was perhaps the last which had stimulated the objection, owing to concern about horses and pedestrians sharing the same path — although this is common enough elsewhere, there are far narrower bridleways even in Surrey, and people and horses get by (literally). Had the claim been successful, the width of the claimed lane ought to have required the close-set fences to have been set back, giving everyone more space. The claim was rejected by the Planning Inspectorate, as the historical evidence was found just insufficient. The Ramblers' objection was not the only objection, nor was it necessarily material in deciding the claim. 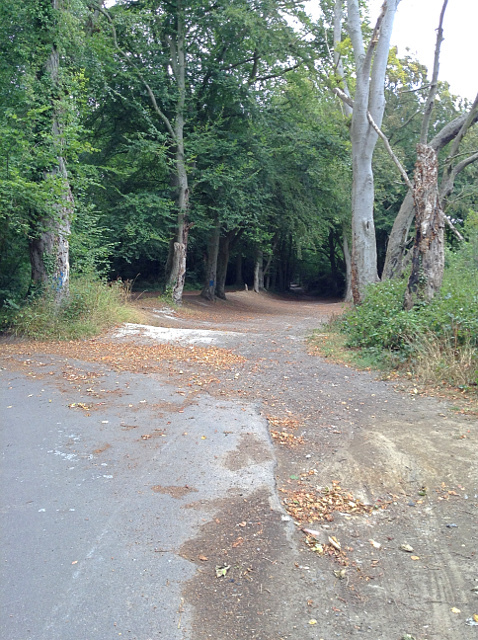 But the outcome is that there is less access than there might have been for walkers, horse riders and cyclists, and volunteers' time is spent unproductively on depreciating each others' work. And one is left wondering whether user groups are most effective when they are engaged in sniping at each other, rather than in promoting more and better access for all. Is this what an 'important victory' should look like for a user group?